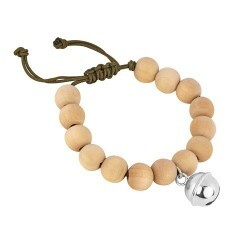 Wood pearl bracelet in different colors. Mounted with a silver skull head. 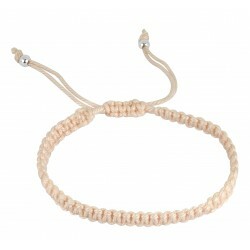 The rope is elastic which allows to put it and to remove it easily and quickly. 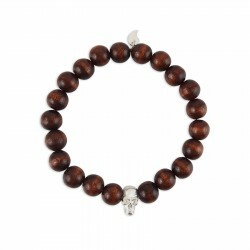 The silver skull head and wood bracelet is the accessory that a man needs to get a trendy look. 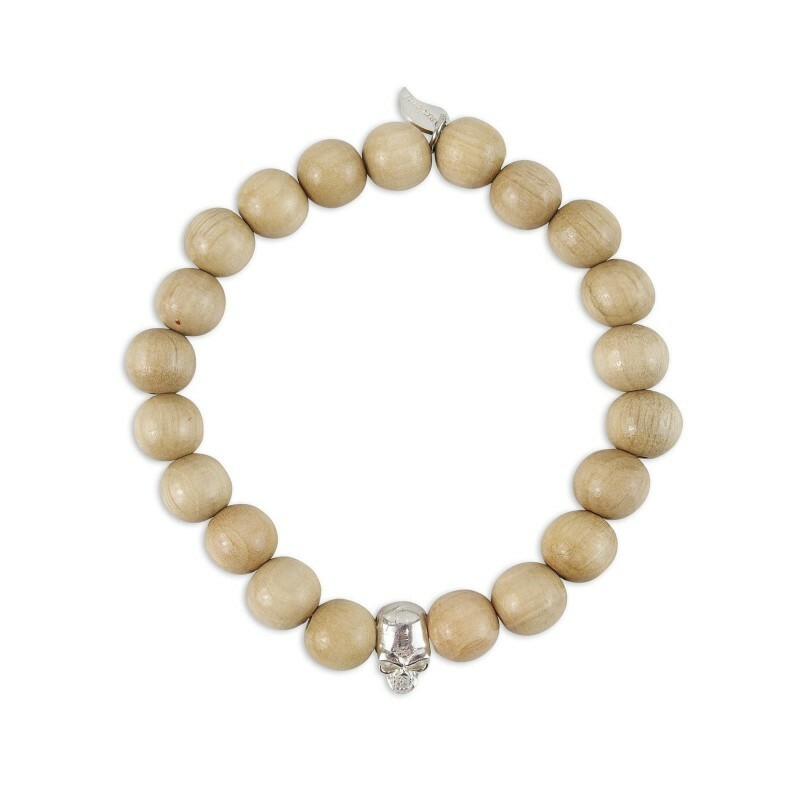 The wood used in our jewelry is of plant origin. Are you looking for gifts for your husband or a family member? Men can sometimes be difficult in terms of gifts. 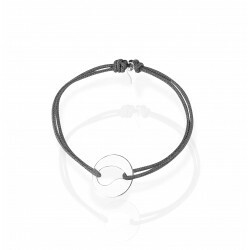 That's why the art'emi jewelry store offers you many men's bracelets. Each one is more unique than the other and always authentic. 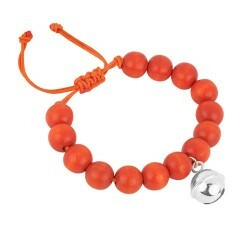 First of all, art'emi has many years of experience in the manufacture, creation, and production of men's bracelets. In addition, we use quality materials and precious stones. 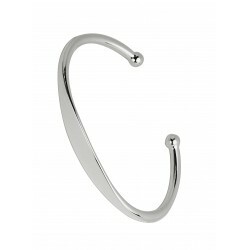 Solid silver is the material in which art'emi excels. Since a few years, we also work in the engraving of different jewels, we can engrave key rings, necklaces, bracelets... 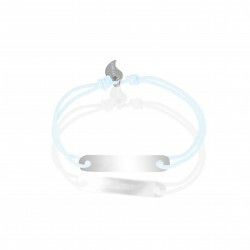 So that we can make any jewelry customizable and unique for the person who will receive your gift. Then, we make a point of honor for our service. This is why we have designed an exhaustive site that includes all our creations. Therefore, we can deliver them to your home without any shipping costs. Art'emi concentrates its efforts to produce and produce jewelry for everyone. Indeed, we manufacture jewelry for women, men, children, and even babies. Then we manufacture many different models per category. 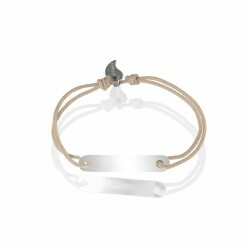 That's why you'll have the opportunity in this category to find men's bracelets that suit you, no matter what your style. 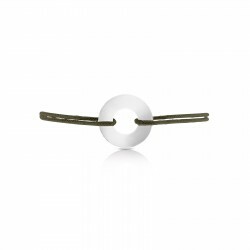 Whether you prefer wooden or solid silver jewelry, there is something for everyone. From the customizable bracelet to the target bracelet, including our rope bracelets. We must not forget that we are available in the store to answer any questions. We can also provide you with valuable advice. With the expertise and passion of art'emi in the manufacture of men's bracelets, bring happiness to your wrist every day.